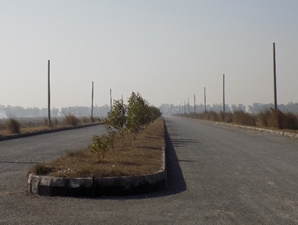 The STZ project is located in Khambrawanla village, 5 km away from Sialkot International Airport, Sialkot. 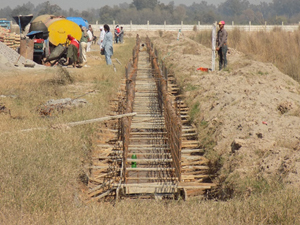 With its approved work schedule, the construction progress during reporting period from Jan-Jun 2018, includes completion of 04 new Roads in zone A. Initiation of conveyance system (approx. 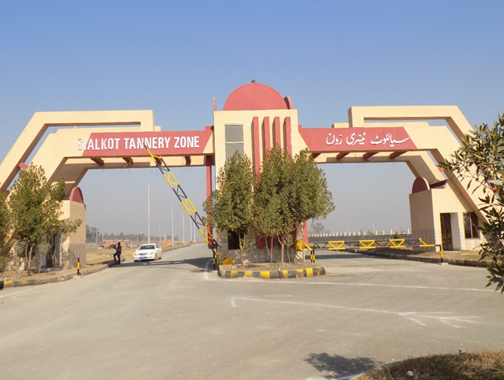 34 Km of length) comprising of Effluent and storm water drains at Road 11 to Road 30, Electrification of Tannery zone and completion of two store halls each of 2500 sq. ft. along camp office at site. Additional work at boundary wall, pavements and main gate includes associated repairs of pavements is completed on regular basis. The main entrance is standing tall at the entrance of the STZ. The main entrance is designed to restrict the movement of people and objects through controlled spaces and will provide industrial machine safeguarding. It is designed to use two-way flow control, one-at-a-time flow control with security guard room. Another purpose for this entrance is to prevent or control the entry or exit of individuals in terms of security. STAGL has already taken proactive measures by engaging private security company for 24/7 security. On site main access roads and parking areas are also graded. GEPCO (Gujranwala Electric Power Company) in an engagement with STAGL started on the process of electrification in STZ. 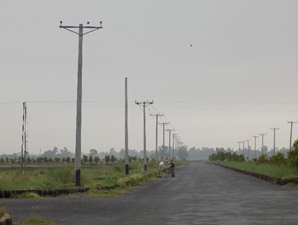 The first agreements for contract is to provide 4.9 MWs supply to be connected directly to the GEPCO administered transmission grid from existing Godahpur Grid station. The process was executed in Jan 2018. 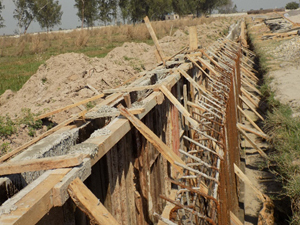 The GEPCO working for installation of supply began with concrete poles, copper wire installation and electric connectors and subsequently, visible progress is evident, wherein 420/550 poles are embarked. To safely place the electric material, STAGL constructed two store halls each of 2500 sq. ft. near camp office area. 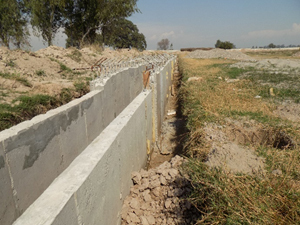 The detailed drawings of the entire conveyance system of STZ including the storm water, tanneries effluents carrying channels and sewerage, drainage system have been got developed by local consultant and approved by relevant quarters. The tenders were floated in last quarter of 2017, the contract for construction of channels and culverts with the cost of Rs. 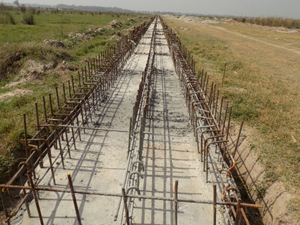 485 Million awarded and the construction of channels was started in Jan 2018 which is well in progress. 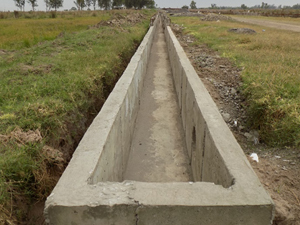 As per master layout plan, Zone A carries both effluent and storm water drains. Excavations, base, lean for drains at all roads are completed and at Road number 12, 21, 22, drains are completed with walled channels.